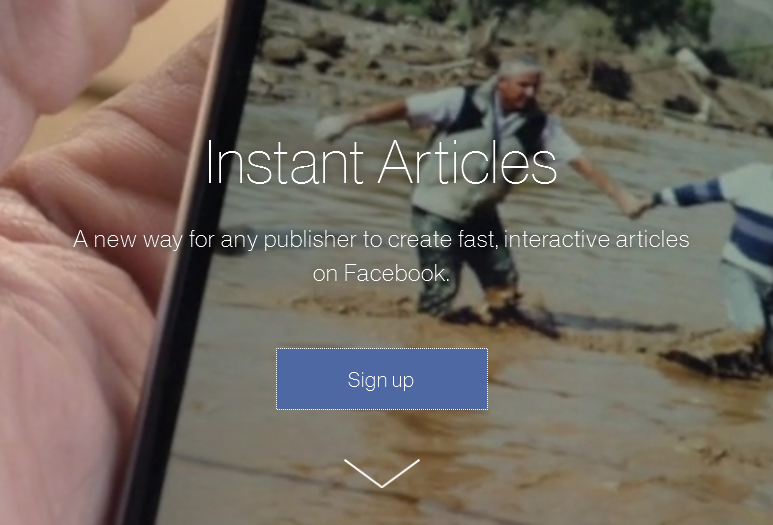 As of today, Facebook has opened access Facebook Instant Articles to the masses. I still haven’t fully grasped what this means, and am still trying to wrap my brains around it. In the mean time, I’ve signed up for it and managed to get it going for our company blog. Step 1: Install the AMP plugin, then install this plugin. 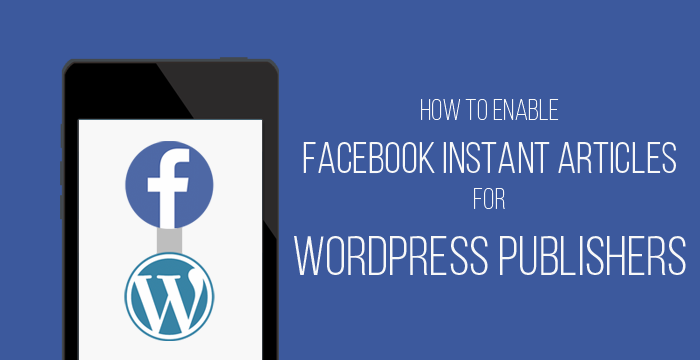 You might want to do yourself a favor and read a little bit about AMP and Facebook Instant Articles if you haven’t already, because this assumes you have. 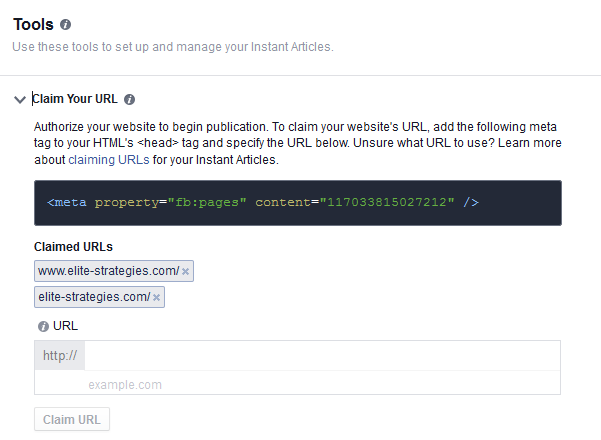 Step 2: Log into your Facebook Page account and navigate to instantarticles.fb.com. 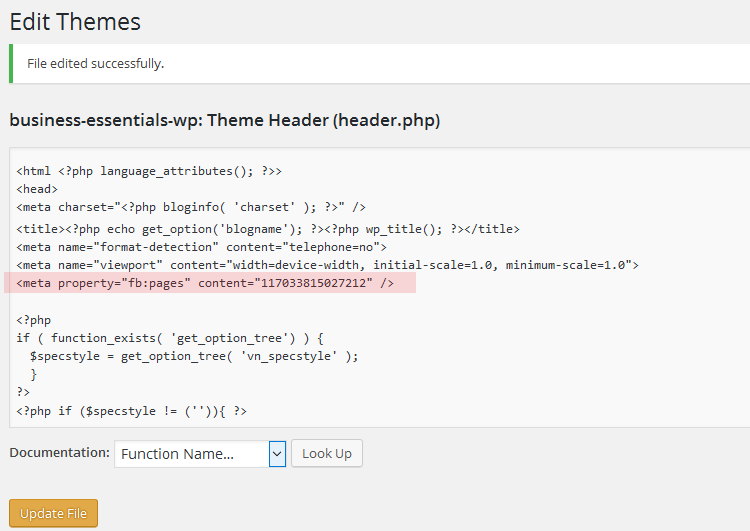 Step 4: Go to your WordPress site and edit your header.php file and throw the code you copied into your head. 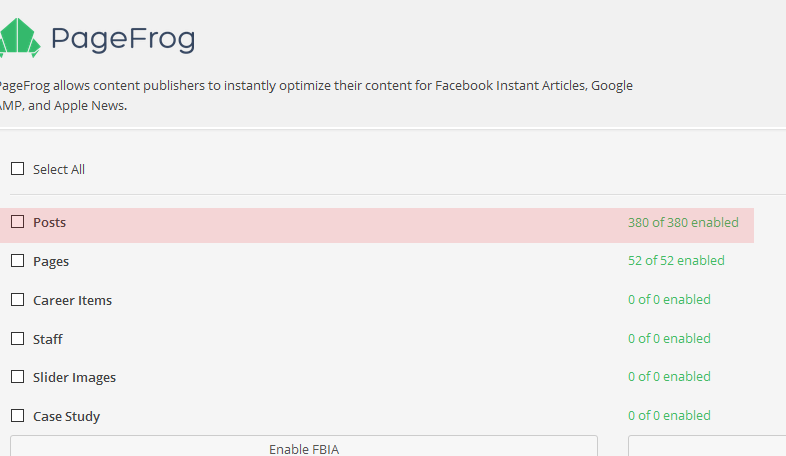 Step 6: Go to the WordPress Page Frog settings and grab your RSS feed URL. 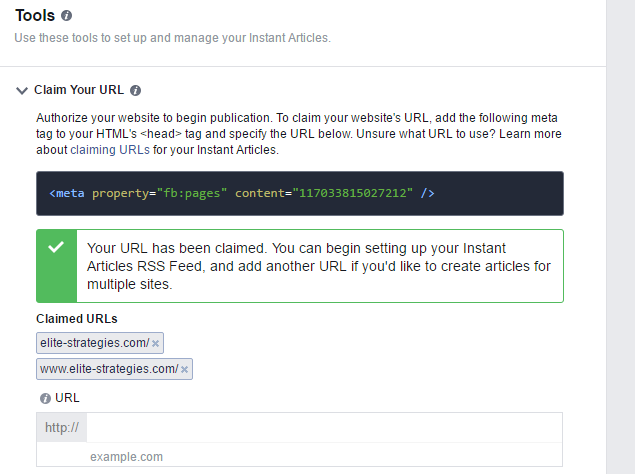 This will tell Facebook where your properly formatted posts reside. 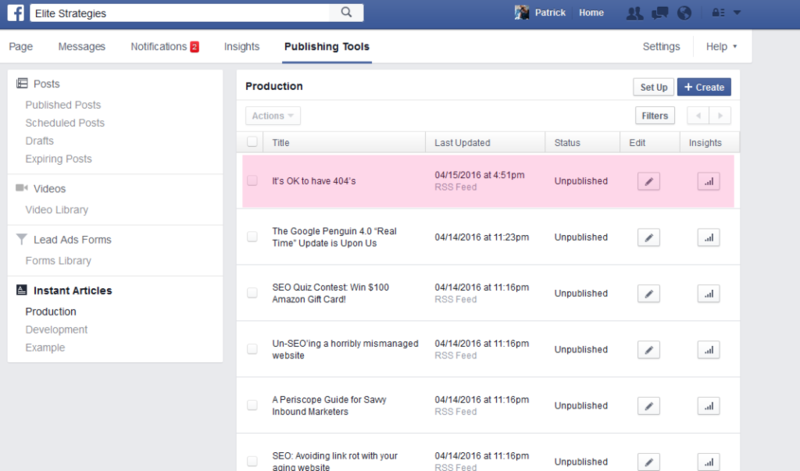 Step 7: At this point you can start checking to see if your posts start to propagate for “approval” in Facebook, you might see some posts, you might not. It updates several times per hour. Step 8: Go back to your WordPress site to the Page Frog settings page and verify you have everything “turned on.” You should see something along these lines. 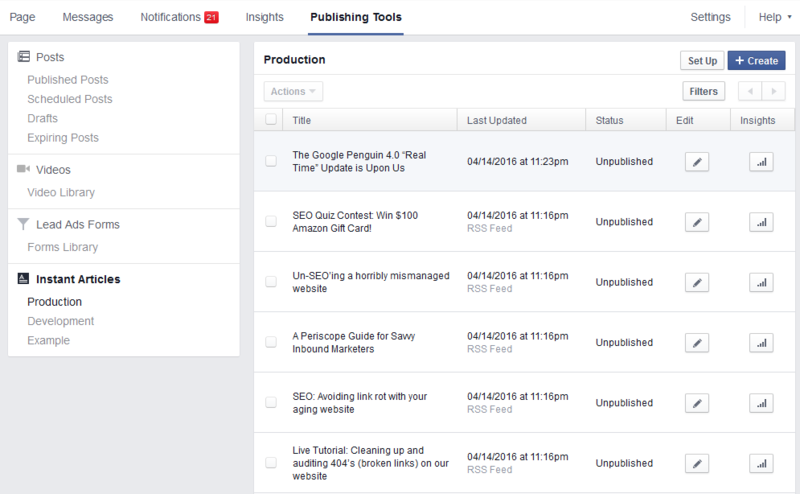 Step 9: If everything goes as planned, your articles should start to slowly propagate into Facebook > Your Page > Publishing tools > Instant Articles > Production similar to how mine did about 30 minutes after adding them. Update 4/15/16 5pm: I just published a post 10 minutes ago and within 5 minutes it went into the “pending” queue. Step 10: TBA – hopefully my articles will be approved and I’ll be able to show the finished product. Again, this has opened up a whole new world to me and I am just getting started. 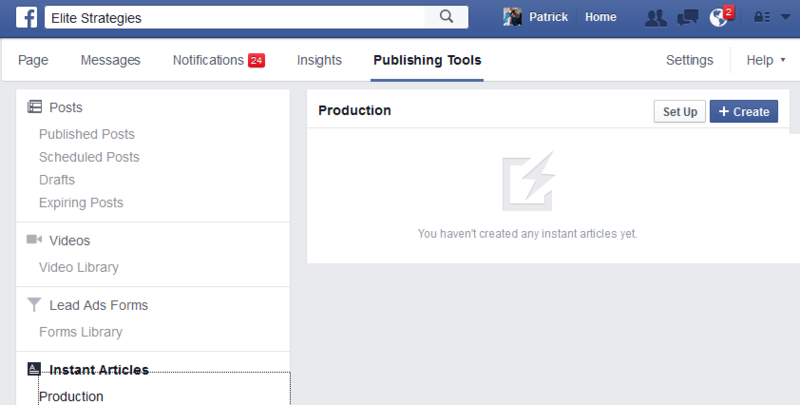 There are so many settings I haven’t even began to explore such as monetizing the articles, styling them, and more.